Omicsis is a compound word comprised of "omics" referring to a comprehensive field of study in life sciences and "systems", and can be interpreted as "a business that handles biological information." Omicsis, Inc. is a biotechnology company specializing in bioinformatics. By using biological resources information, we develop new technologies and products required in many areas including medical and agricultural science. Especially in seed industry market, Omicsis, Inc. is growing to a global company which manufactures innovative products with its patented technologies. Omicsis, Inc. received Excellence award (Minister Prize) at the Venture Start up Contest of the Ministry for Food, Agriculture, Forestry and Fisheries. Omicsis, Inc. received a silver prize at the National Agriculture IDEA Contest. Omicsis, Inc. achieved ISO 9001 / ISO 14001 (Quality and Environmental Management System) Certification and approved as a start-up by the Korea Technology Finance Corporation. Omicsis, Inc. obtained certification for venture business. Omicsis, Inc. obtained certification for R&D service business recognized by the Ministry of Education, Science and Technology, number one in bio information field. Omicsis, Inc. is founded (inside the Bio Venture Center of the Korea Research Institute of Bioscience and Biotechnology). Omicsis, Inc. had its factory registered by the Ministry of Knowledge and Economy of Korea(inside the Korea Research Institute of Bioscience). Omicsis, Inc. received the Ministerial Citation at the Life Industry Exposition by the Ministry of Food, Agriculture, Forestry and Fisheries of Korea. Omicsis, Inc. was granted as a company to be housed in the Daeduck Research & Development Area of the Ministry of Knowledge and Economy of Korea. Omicsis, Inc. received a bronze prize at the Korea Invention Patent Exhibition. Omicsis, Inc. received a grand prize at the national intellectual property manager conference. Omicsis, Inc. was selected as a good design(acquired the GD mark) by the Ministry of Knowledge and Economy of Korea and the Korea Institute of Design Promotion. Omicsis, Inc. was selected as a Promising Small and Medium Enterprise by Daejeon city. Omicsis, Inc. was chosen as a star company by the Daejeon Techno-park Property Foundation. Omicsis, Inc. received a silver prize for its patent and design at the Seoul International Invention Fair. Omicsis, Inc. is certified as an industrial R&D center by KOITA(Korea Industrial Technology Association). Omicsis, Inc. was selected as a company that perform total support project for technology commercialization from Daejeon City. Omicsis, Inc. obtained the Excellent Invention-First purchase Recommendation Certificate from Korea Invention Promotion Association. Omicsis, Inc. is certificated as a Farmers and Merchants Convergence company by the Ministry of Agriculture, Food and Rural Affairs of Korea and the Small and Medium Business Administration of Korea. Omicsis, Inc. was appointed as a company for substituting military service for master doctorate researchers by the Military Manpower Administration of Korea. Omicsis, Inc. participated in the Korea Business Sales Event for the 2015 Mnet Asia Music Awards in Hong Kong. Omicsis, Inc. participated in the KCON 2015 USA. Omicsis, Inc. participated in the 5th International Agricultural Material & Technology Expo Tokyo (AGRITECH) in Japan. Seoul branch office was established(Daechi-dong, Seoul). Omicsis, Inc. established Research Institute Spin-off Company, TreenLink, Inc. with Korea Advanced Institute of Science and Technology(KAIST). Omicsis, Inc. housed in TIPS(Tech Incubator Program for Startup) Town (used as a branch office in Seoul). Omicsis, Inc. was introduced as a promising venture technology by the Ministry of Agriculture, Food and Rural Affairs of Korea. Omicsis, Inc. was selected as 2015 global startup technology development business of TIPS by the Small and Medium Business Administration of Korea. Omicsis, Inc. participated in the 6th International Agricultural Material & Technology Expo Tokyo (AGRITECH) in Japan. Omicsis, Inc. joined as a regular member of Asia & Pacific Seed Association (APSA). Omicsis, Inc. participated in the Greenhouse Horticulture & Plant Factory Exhibition / Conference (GPEC) 2016 in Japan. Omicsis, Inc. participated in the GREENTECH in the Netherlands. Omicsis, Inc. joined as a regular member of Korea Seed Association (KSA). Omicsis, Inc. obtained certification for the best-value company by the Korea Credit Guarantee Fund. Omicsis, Inc. was selected as IP&RD project performing company by the Korean Intellectual Property Office. Omicsis, Inc. was selected as a company to be housed in the national private breeding R&D park. Omicsis, Inc. was registered as a seed business company at Korea Seed & Variety Service(business area: vegetables, flowers and other crops). Omicsis, Inc. certified as a technical evaluation by NICDE(National Information& Credit Evaluation). Omicsis, Inc. moved in a Branch in Gyeongbuk Technopark(established branch office). Omicsis, Inc. moved in Research Institute in Gyeongbuk University Eco Center(Established R&D center). Omicsis, Inc. moved in a Research Institute in the national private breeding R&D park, kimje. Omicsis, Inc. was selected as a global startup technology development business of TIPS by the Small and Medium Business Administration of Korea. Omicsis, Inc. was certificated as a Farmers and Merchants Convergence company by the Ministry of Agriculture, Food and Rural Affairs of Korea and the Small and Medium Business Administration of Korea. Omicsis, Inc. obtained certification for the Industrial R&D center (from the Korea Industry Technology Association). An Innovative Technology in the Seed Industry! 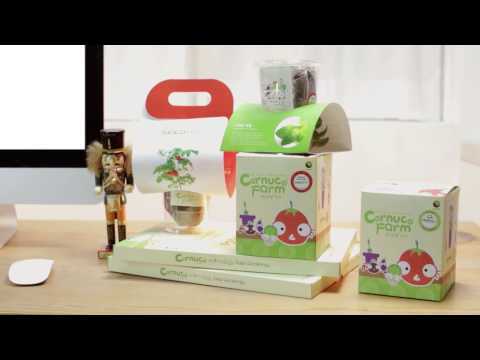 Specially packaging and processing seeds by the patent technology of Omicsis, Inc. is helpful for plant factories, seedling nurseries and urban agriculture. Sowing is done simply by putting Seedmo® on the surface of the soil and spraying water. Seedmo® is a patented coin-type packaged seed created by Omicsis, Inc., which makes the planting and sowing process dramatically easier. Simply put the Seedmo® on the surface of the soil and spray water, then wait for it to sprout. Seedmo® automates seeding process of small grains. Seedmo® enables sowing seeds directly in the growing pots in plant factories. Seedmo® facilitates germination by helping the seed stay hydrated. Seedmo® promotes constancy of germination condition. Seedmo® saves labor costs for seeding and seedling. Click on an image to find more products. ‘Biological information’ refers to the information which animals, plants and microorganisms contain. Like a map of human genome reveals the information of human gene, biological information, used in developing new food and agricultural products, is a key resource which lead the genomic revolution. As Bio industry is growing in these days, the world is paying attention to the market related to biological information. That is why Omicsis, Inc, set up by the researchers from KRIBB(Korea Research Institute of Bioscience and Biotechnology), deserves to attract many foreign buyers in ‘2015 MAMA(Mnet Asian Music Awards)’. KINTEX, the biggest exhibition center in South Korea, holds AATE 2015(Advanced Agricultural Technology Expo 2015) at the hall No. 10. The 2nd AATE held in 2015 is supposed to have centers of 6 themes: Smart Farm/Convergence Technology(ICT, BT, NT), High-tech Agricultural machines/Agricultural materials, High-tech Livestock Farming machines and materials, High-tech Agricultural Drones, 6th Industry. About 150 domestic and international companies would participate in those theme centers and show future trends of the field. Big, Medium, Small Companies Find International Market Together. The chief of Small and Medium Business Administration reported that ‘Exhibition and Sales Event of Outstanding Products’, sponsored by CJ E&M, KOTRA and etc., was held with ‘KCON 2015 USA(LA)’ in Los Angeles from July 31th to August 2th. ‘KCON’, the best Korean Wave Festival in the U.S.A, was first opened in Irvine, CA in 2012 by CJ E&M. KCON gives Korean Wave fans an opportunity to experience Korean culture by providing events combined with concerts, conventions and contents. Opentrade holds ‘My first Open IR in my life’ successfully. Opentrade holds ‘My first Open IR in my life’ at Startup Alliance in Seoul on April 30th. Open IR is the event which introduce start-ups in areas of biology, high-technology, entertainment and fashion in order to find out investment points. A step closer to the development of next-generation magnetic random-access memory (MRAM). Among the emerging technologies that have been developed to overcome the scaling problem of current Si-based electronics, magnetic random-access memory (MRAM) consisting of magnetic thin films seems particularly promising as it allows the development of non-volatile memory devices with high operation speed and high density. For that reason, MRAM is being widely investigated by most major microelectronics companies for next-generation memory devices. There is no vision for people who do not dream. Dream is just a delusion for people who do not try hard. Here are companies which dream and try their best. They are 65 companies which are selected as ‘2016 Promising Small and Medium Enterprise’ by Daejeon City. Small and Medium Business Administration has events: TIPS and GMD. Small and Medium Business Administration held events of TIPS and GMD Matching Day in order to increase future investment and open global markets. 4 start-ups including Dot, Sirius, Omicsis, Luxrobo attracted total investment of ₩11 million at the event. 11 Korean companies participated in the ‘4th exhibition of horticulture and plant factories’ held in Tokyo, Japan from July 27th to 29th. In the past, Koreans prefer to bring in horticultural technologies from Japan. During 20 years, however, Korean companies develop so much that their technology is highly evaluated even by Europeans. Here are Korean companies which attracted attention in the exhibition. Start-ups and Researchers cooperate for success. NAEK(The National Academy of Engineering of Korea) which consists of Korean best engineering scholars and SMBA(Small and Medium Business Administration) which manages entrepreneurship policies support promising tech start-up companies. Having a starting ceremony at Palace Hotel in Seoul, the chiefs of SMBA and NAEK signed a MOU to strengthen capabilities of tech start-up companies. AATE 2015 is held at Kintex from 18th to 21th. KINTEX in Ilsan, Gyeonggi, South Korea, spoke that it would hold AATE 2015(Advanced Agricultural Technology Expo 2015) for 4 days from 18th to 21th. The 2nd AATE held in 2015 is supposed to have centers of 6 themes: Smart Farm/Convergence Technology(ICT, BT, NT), High-tech Agricultural machines/Agricultural materials, High-tech Livestock Farming machines and materials, High-tech Agricultural Drones, 6th Industry. About 150 domestic and international companies would participate in those theme centers and show future trends of the field. They expose biological information with convergence of BT and IT. ‘Biological information’ refers to the information which animals, plants and microorganisms contain like a map of human genome means the information of human gene. As industrial trial to use genomic information is increasing, and the technology to make and analyze bio-information is developed, the related market is growing recently. Copyright © 2015 Omicsis Inc. All rights reserved.